June 21, 2016 - Want to Retire Early? Do These 4 Things. 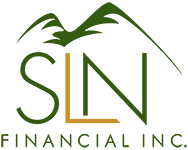 | SLN Financial, Inc.
June 21, 2016 - Want to Retire Early? Do These 4 Things. Though it may be hard to imagine retiring early, many Americans manage to do it while still living comfortable lifestyles. If you’re serious about ending your career early, think carefully about the challenges you face: preparing for 40 years or more in retirement, drawing on your savings early and finding ways to fill your time. However, there are some moves you can make now to help you achieve your dream of retiring early. Keeping your eye on the retirement prize can help you make smart financial decisions and avoid inevitable temptations. If you’re married, make sure that you and your spouse agree on prioritizing early retirement over current spending or other life goals. Though you can’t control markets or how much income you bring in, you can control your spending, which is one of the most important variables in the early retirement equation. If you’re aiming to retire years ahead of schedule, you can’t afford to be stingy with your retirement savings. Assuming you didn’t get an early start on retirement savings in your youth, you may need to put as much as 50% of your income toward retirement. Your savings goal may require you to downsize your house, keep your cars longer and reduce your spending on luxuries. Another advantage of saving so aggressively is that it will teach you to live on much less. Retirement looks different for everyone. While some people view retirement as an endless vacation, most who aim to retire early see it as an opportunity to change gears and build more flexibility into life. If your definition of retirement includes earning income through an encore career, part-time work or another source, you may find it easier to retire early. One of the primary challenges of early retirement is funding all those extra years through your investments. Reducing the income you must draw from your investments can be a huge help, especially in years with low portfolio returns. Since most Americans don’t become eligible for Medicare until age 65 (there are some exceptions), you’ll have to find an alternate source of health coverage. Private health insurance can get expensive as you age, so it’s best to evaluate your options early. One option would be to coordinate your retirement with your spouse to remain on employer-sponsored insurance longer. If you need to bite the bullet and purchase insurance on your own, you may qualify for federal subsidies based on your income. A financial professional can help you choose the best strategy for your situation.